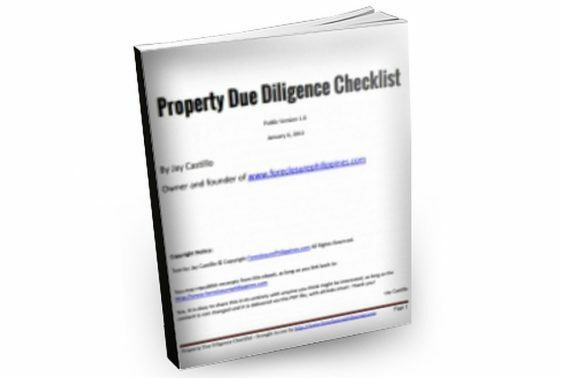 Many people would agree that buying properties on the path of progress is a very sound real estate investing strategy. But where do we find those paths of progress? Look no further, here’s one such path of progress, the Skyway Stage 3. It’s not rocket science. 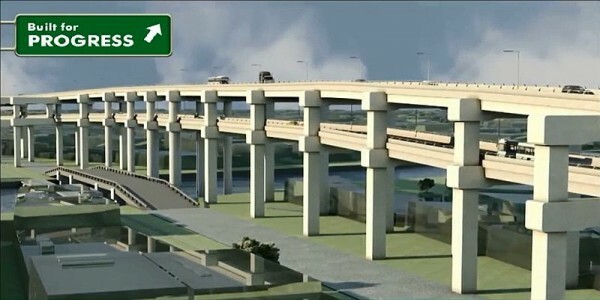 Simply follow the paths of progress and study where transport and infrastructure systems will be built. It’s quite logical that areas which are easily accessible will have higher market values than those which are not. Many people have said that Ayala Alabang used to sell for only so little in the 1970’s, and grew to around P25,000 per square meter over the years. 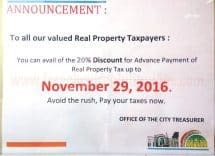 After the opening of the Skyway, which enabled those living in Alabang to reach Makati in about fifteen minutes, the land values shot up to around P45,000 per square meter. Maybe those who bought in the 1970’s never thought that a Skyway would be built near it. But those who bought properties after learning about the Skyway to be built were, I believe, the wise investors. They are now reaping the rewards of their foresight. 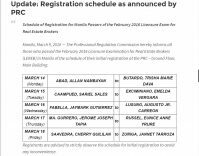 How about those who bought properties along Daang Hari prior to the fixing of the Skyway, SLEX, Cavitex, etc.? They too, have seen a significant rise in market values. 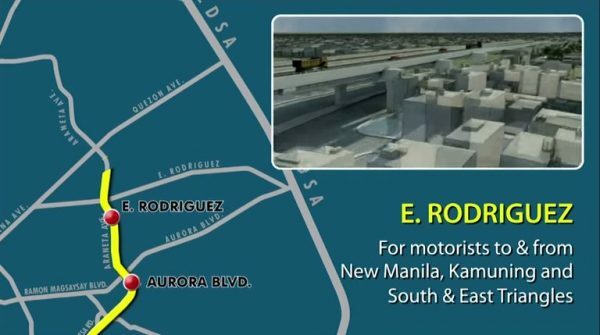 When the Daang Hari-SLEX road is finished, that area will be even more accessible and already many are investing there. Knowing these stories, I believe that it would be a good use of our time to watch this 8 minute 31 second video which shows us the plans for the Skyway Stage 3, which I believe will make an impact on the property values near its access points. 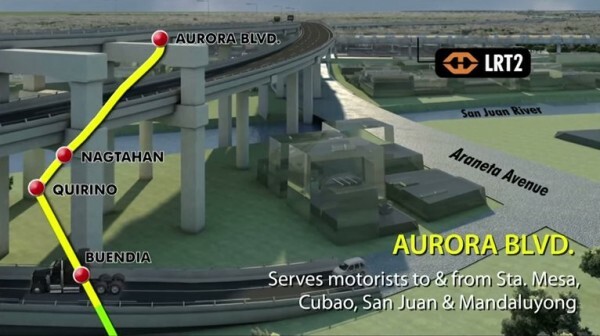 The Skyway Stage 3 will be a 14.8 km long elevated tollway that connects the North Luzon Expressway (NLEX) and the South Luzon Expressway (SLEX). If you compare it with Skyway Stage 1 and 2, which is 30 kms. Long, it will be only half the length of Stage 1 and 2. From Alabang to Makati, the toll fee is P164 – I don’t really know if the toll fee will be half but maybe it would not be more than P164 for half the length. 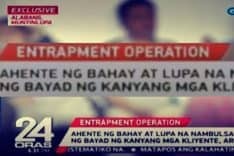 Time-savings wise, they estimate that it would take 15 minutes to get to Balintawak from Buendia, Makati instead of 2 hours (no traffic, 100 km/hr). I believe there would be gas savings related to this also. 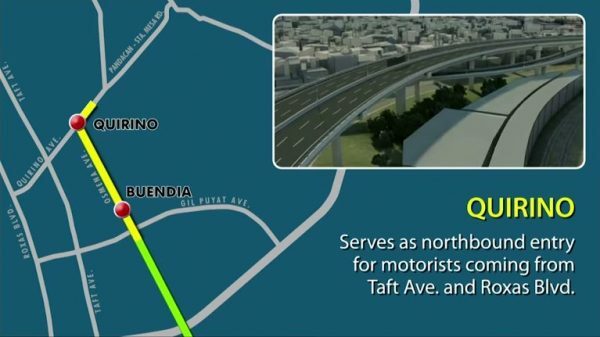 Quirino – serves as northbound entry for motorists coming from Taft Ave. and Roxas Blvd. 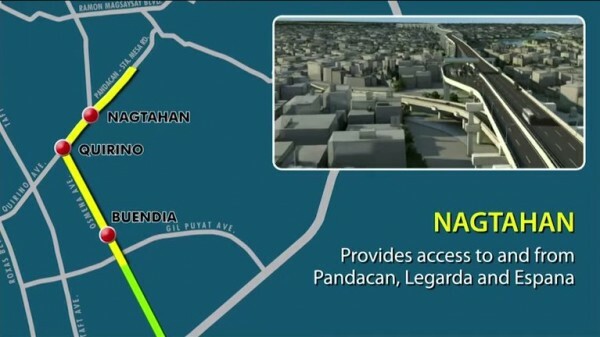 Nagtahan – provides access to and from Pandacan, Legarda, and Espana. At Plaza Dilao, there is a separate entry for motorists coming from United Nations Ave. Extension. Aurora Blvd. – serves motorists to and from Sta. Mesa, Cubao, San Juan, and Mandaluyong. Southbound motorists enter at Araneta Ave. Near SM Centerpoint while those heading north exit at V. Mapa. 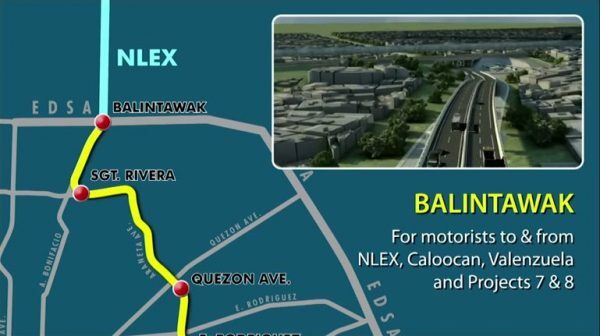 Balintawak – for motorists to and from NLEX, Caloocan, Valenzuela, and Projects 7 and 8. 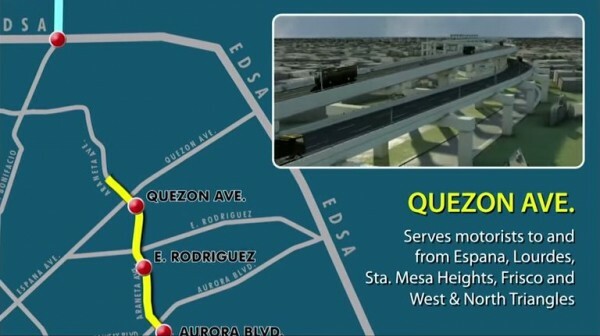 Skyway Stage 3 is expected to serve as an alternate route which will help decongest EDSA and other major thoroughfares. It will also help create new public transport routes (buses, UV express vans) and thus ease the congestion in the MRT and LRT and other existing public transport systems. With the use of Sosrobahu, and Indonesian technology, they can do the overhead construction of the Skyway without closing off the road below it, thus resulting in minimum disruption to the current traffic flow. This, I believe, is a major consideration for those who regularly pass through the construction areas. The following are the streets where Sosrobahu will be used: Osmena Ave., Quirino Ave., Araneta Ave., Sgt. Rivera , A. Bonifacio. Watch the video to see how Sosrobahu works – it looks very efficient actually. 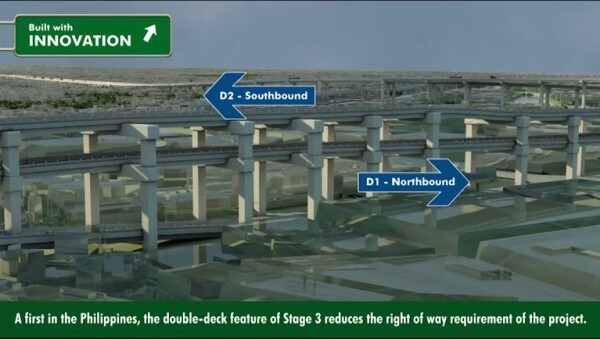 Skyway Stage 3 will have a double deck feature – those going north will use the lower deck while those going south will use the upper deck. This design was done to reduce right of way requirements. 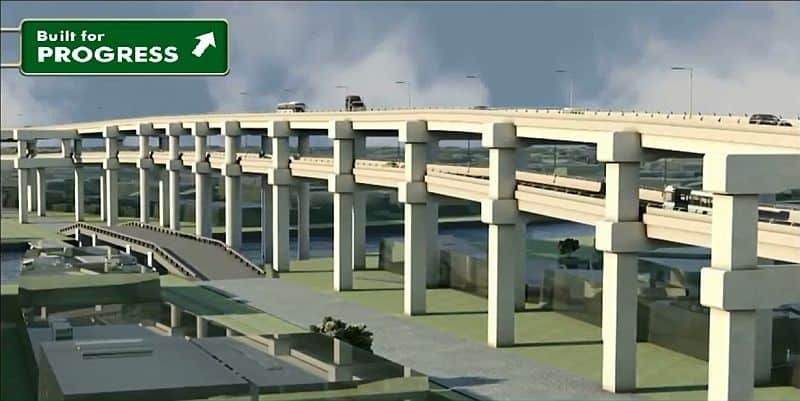 The Skyway Stage 3 will be the link that would connect major thoroughfares. 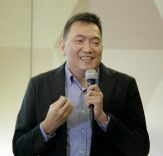 To the south – South Luzon Expressway (SLEX) and Star Tollway; to the north – North Luzon Expressway (NLEX), Subic-Clark-Tarlac Expressway (SCTEX), then Tarlac-Pangasinan-La Union Expressway (TPLEX). 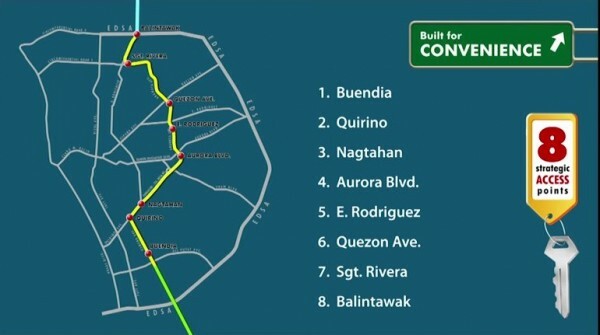 Eventually, it will also connect those from the north and south to the NAIA Expressway, which will then connect to Cavitex and Cavite-Laguna Expressway (CALAX). 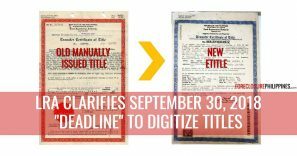 The CALAX bidding was recently won by the Ayala group, although it is being contested by the San Miguel group because they were disqualified because of a typographical error. 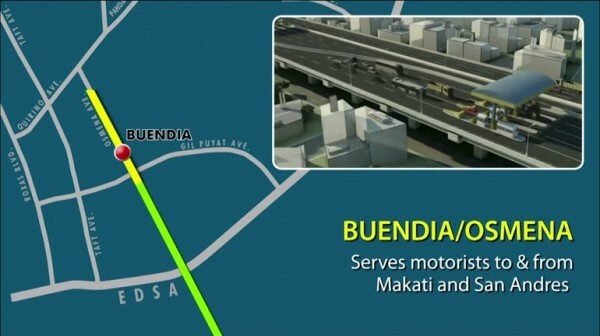 In the future, there will be a SLEX extension to Lucena (TR4), and Skyway Stage 4 which will be called the Metro Manila East Expressway (MMX). 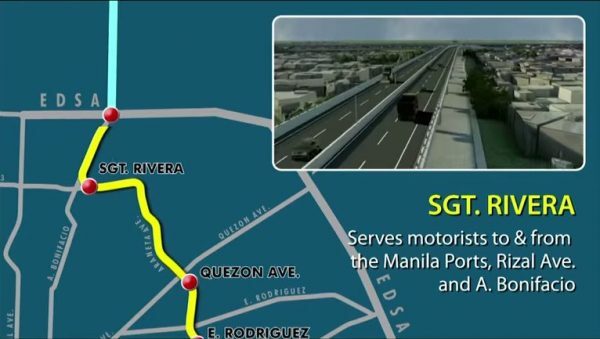 The MMX will link FTI Taguig to the Batasang Pambansa complex in QC. With the Skyway Stage 3, it is expected that there will be increased interaction between Mega Manila, Central Luzon, and Calabarzon, resulting in greater economic activity and development. 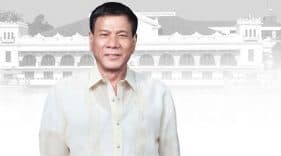 I believe that the Skyway Stage 3 and the many other Public-Private Partnerships (PPPs) that are being rolled out do indeed make the Philippines improve significantly. 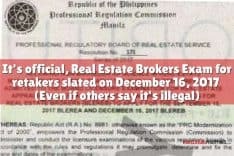 Of course, the threat of a real estate meltdown is always present, so let’s make it clear that each investment has a risk and should be analyzed carefully and based on its own merits. However, these developments cannot be ignored and must be taken into consideration in managing risks in real estate investments. For me, if the big corporations are investing in an area (and we can see where their real estate investments are, and their infrastructure investments too), it’s a good sign to invest also. Surely, they will not throw away their money in worthless ventures. Alternatively, you may also wish to invest in the stocks of these big corporations. How about you, what do you think of the Skyway Stage 3? Let me know by leaving a comment below.